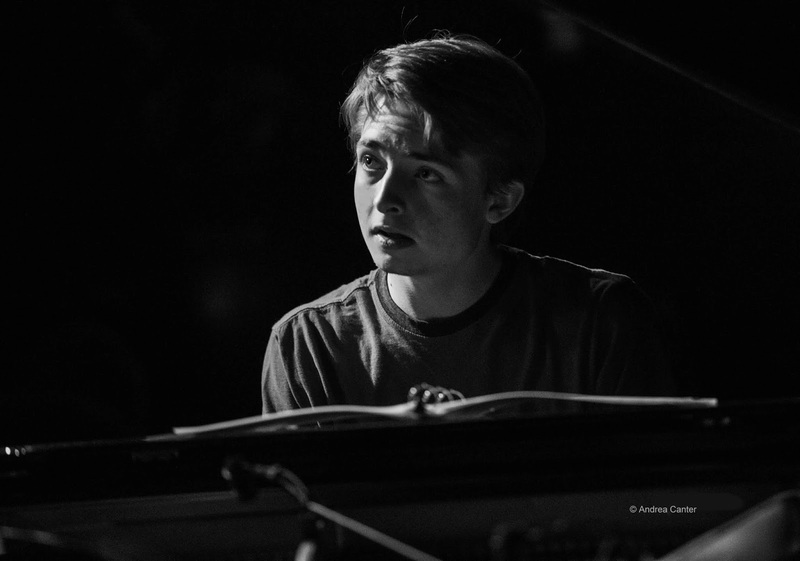 At just 17, Will Kjeer has already been an AQ regular -- holding down the piano bench for Steve Kenny's Group 47 for it six-month run as the early night gig every Wednesday during the latter part of 2013 before the club closed. And this wasn't even Will's first appearance with a veteran pro. He's been on the bandstand in the past year with saxophonist Dave Brattain, sat in with the Jana Nyberg Group, and serves as the Young Artist in Residence for the PipJazz Experience band -- sometimes filling in on keys for veteran Peter Schimke and otherwise working with such luminaries as Billy Peterson, Dean Magraw and Glenn Swanson. And then of course he has had some workouts with uncle Kenny Horst, including some time on stage during the AQ farewell weekend. 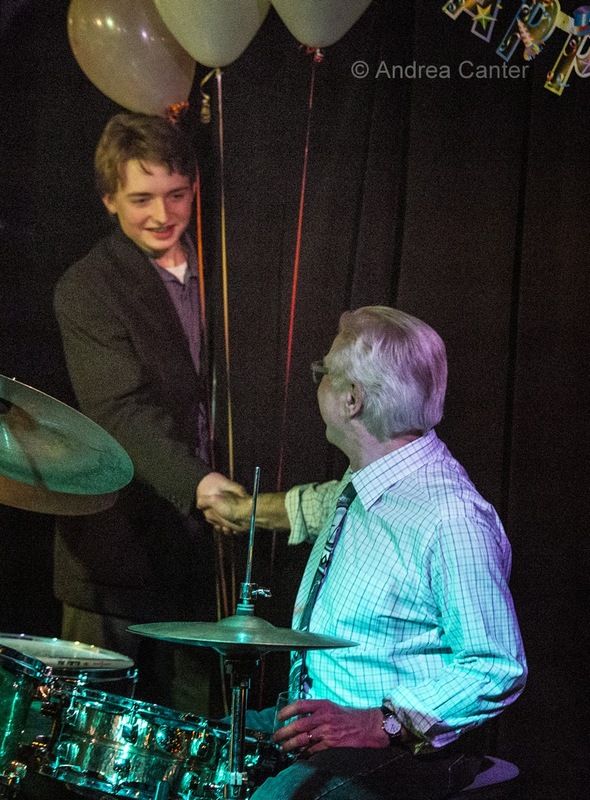 With his own band, Blue Haven, Will has opened at the AQ for the summer jazz festival jam sessions, performed at Jazz Central... and is in a second year with the high school ensemble Dakota Combo. It would be easy to say that Will got some unusual opportunities early on because his uncle owned the Artists Quarter. Certainly Will was well known to Kenny Horst, more so than the typical teen prodigy! But Kenny never handed over the keys to his Yamaha without good evidence that there would be excellent, crowd-pleasing musicianship, whether the artist was 17 or 75. With the closing of the AQ, Group 47 is booking gigs elsewhere around town, this week at both Jazz Central and the Black Dog. And Will is booking gigs of his own-- in between completing those college applications and wondering where the next few years will take him. Wherever he goes, it will not be his youth that will guarantee an audience. We'll have to blame it on his talent.